Recently, I just bought an BMW Icom D interface from obdii365.com; thought it has the KL15 problem, so I decided to rearrange all wires by myself. And luckily, i managed to use K+DCAN Cable & ICOM D for BMW Motorcycle diagnosis. 2. I used a multimeter in order to get the relationship between the pins and wires. I used continuity function. 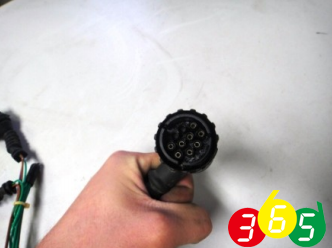 How to setup bmw inpa K+Dcan cable? Note: This is the DIY guide provided by customer. You are at your own risk.